Every work area, approximately 10 m2 (100 ft2), includes the telecommunications outlets/connector for termination of the horizontal cables and connection to the station equipment (e.g., telephones, office equipment, video equipment, computer equipment). (e.g., 4-pair outlet or optical connector/adapter) in the work area on which horizontal cable (commercial cabling term) or outlet cable (residential cabling term) terminates. The telecommunications outlet/ connectors are held in place on telecommunications outlet box. 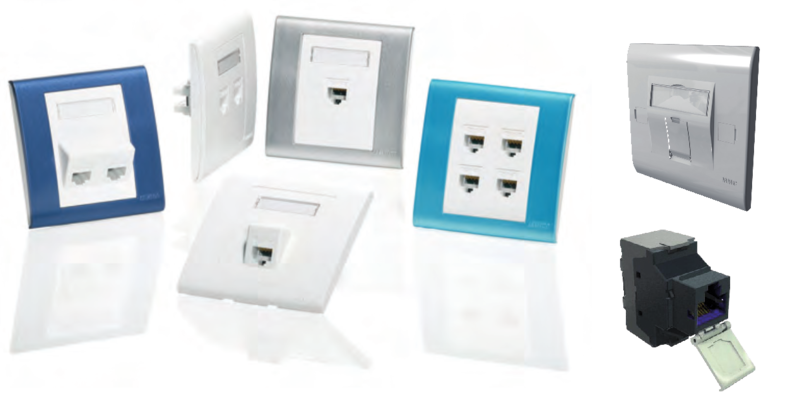 Our product line includes a wide variety of outlets supporting various connectors and are designed to suit the environment where they are installed. The outlets are available in different colors, designs and configurations.